Solving complex recruitment challenges, one campaign at a time. Get a well-targeted online media plan for your jobs. 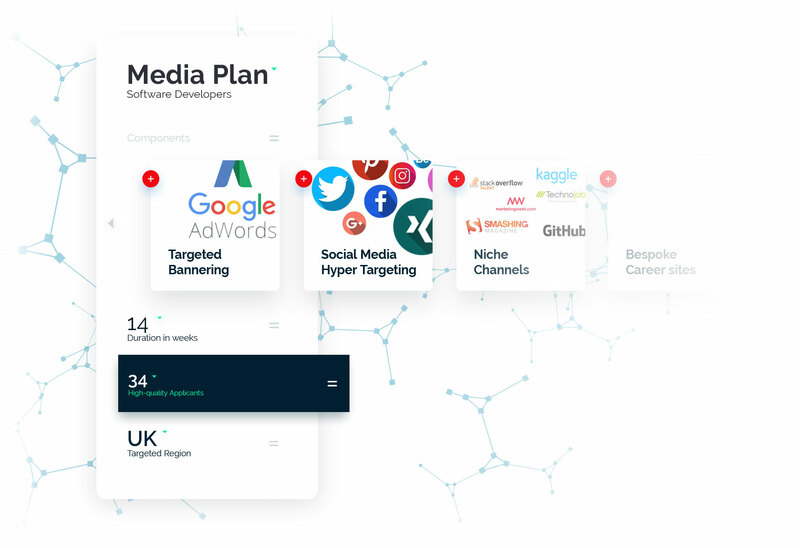 We plan the job advertisement and the use of strategic display bannering, career page optimisation and social media hyper-targeting, among others. Get your recruitment marketing campaign implemented from A to Z. We do the job distribution with a focus on QA and offer a dedicated campaign management team, all that with a continual on-the-go campaign optimisation. Get higher-quality applicants, faster and for less, and benefit from a boost on your employer brand in the long run. We generate for you reports with insights into your desired audience engagement and interaction. "VONQ provides timely, accurate and innovative solutions to the talent engagement challenges we face on a daily basis. We value highly working with an expert like them!" With the help of predictive data you spend your recruitment budget on the most relevant online media channels for your desired audience. As a result you get high-quality candidates, faster and for less. See what our customers say about their immediate gains and long-term benefits! "In 6 months only, our Cost per Hire dropped to less than 1,000 euro!" "In less than a year, we could see huge employer brand benefits!"